Turn a cramped bathroom into a spacious oasis with the right products from ProSource® of Concord. 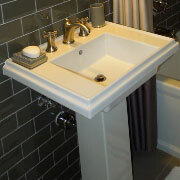 We specialize in helping trade professionals turn any size bathroom into a comfortable room. If your client wants to create a better space with beautiful new materials and products, turn to the team at ProSource of Concord to assist you in creating the right design. 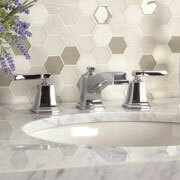 Something as simple as a bathroom sink faucet can make all the difference in the design of a space. Talk to our design experts to find the right fit for your bathroom remodel. Any bathroom can be turned into a luxury oasis when you choose a premium shower. Shop showers at wholesale pricing and get personalized suggestions from our design team. When it comes to a bathroom remodel, a major consideration is in how well the space is being used. 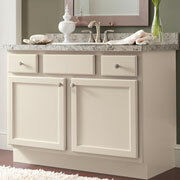 If your client needs a little extra storage, a vanity can be the perfect fit. Talk to us about vanity options when you visit us next. Nothing offers more comfort at the end of a long day than having a tub to relax in. 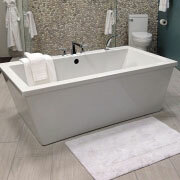 Browse our selection of beautiful tubs and transform your client’s bathroom with this luxurious piece. Nothing destroys the look of a bathroom more than an outdated, leaky toilet. 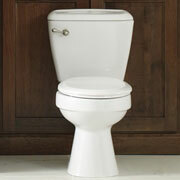 Be sure to include a new toilet in your next bathroom remodel.